Sofia Richie Shares Photos With Scott Disick During Vacation in Saudi Arabia! 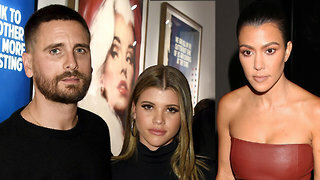 Rumble / Entertainment Life - The Scott Sofia Kourt love triangle might be simmering down for the moment...just in time for the holidays. Scott and Sofia are currently vacationing together in Saudi Arabia, while Kourt continues to get closer to Travis barker. The romance vibes are alive and are distracting the typically jealous trio…let’s hope this lasts. I’ve got the inside scoop coming right up. Sofia Richie Getting PREGNANT Before Engagement With Scott Disick!